The New York Times claims a readership of 1.3 million. I’m not going to examine here who owns the company and what their motives might be for constantly publishing anti-Turkey material – I’m sure those readers are educated, intelligent people well aware that there may be another side to the stories told on the Times’s paper and digital pages. For Turkey, it’s 18 March. Who else is interested? Is it Turkey’s job to set up such a panel? As far as I am aware, Mr Erdoğan’s position on this issue has always been clear, and it has not changed. Why do these friends of Armenia insist on drawing a line at the beginning of the 20th century? 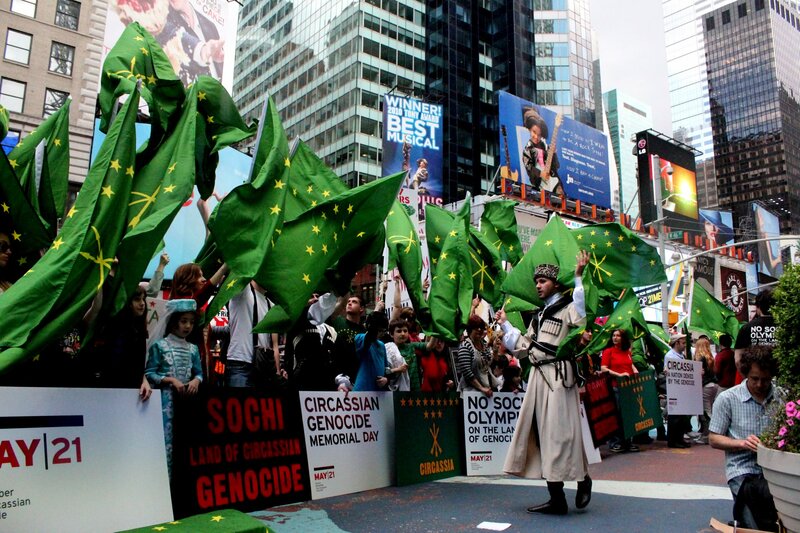 In February last year, when Russia held its $51 billion showcase Winter Olympic extravaganza in the Black Sea resort city of Sochi, Circassians the world over tried to draw attention to the vast campaign of ethnic cleansing perpetrated in the Caucasus by Czarist Russia. 2014 marked the 150th anniversary of the year when “according to the official tsarist documents, more than 400,000 Circassians were killed, 497,000 were forced to flee abroad to Turkey [Ottoman Anatolia], and only 80,000 were left alive in their native area.” And that’s the official Russian count. And the Circassians were peacefully living in their own land. And Russia was under no outside military threat. And getting rid of the Muslim Circassians was an explicit policy of the Czarist government. In 1915 the Ottoman Empire was fighting a war for survival on at least three fronts. The Russian aim of expanding to the shores of the Mediterranean involved cynical use of Armenians in the east to create havoc behind the Ottoman lines. The French government had a similar policy in the southeast (near present-day Syria) of using Armenian troops against the Ottomans. What government could tolerate such a situation? Not all Armenian combatants were wearing uniform. Few villagers would risk turning them in to Ottoman authorities. A bad thing happened, for sure – but who was to blame? 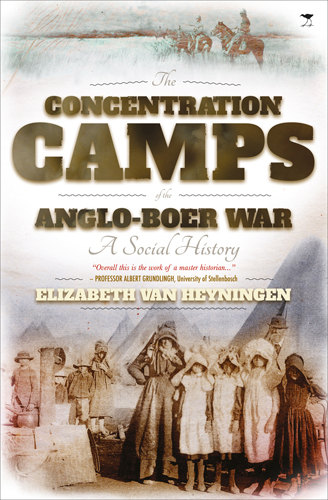 A few years previously, in its war against the Boers in South Africa, the imperial British government had invented the concentration camp as a means of destroying guerrilla resistance to its questionable land grab. ‘The abhorrent conditions in these camps caused the death of 4,177 women, 22,074 children under sixteen and 1,676 men, mainly those too old to be on commando.’ Possibly that’s one reason why British prime Minister Tony Blair, despite his well-deserved reputation for political expediency, refused to bow to pressure and use the ‘g’ word for the Armenian event. It is also likely that America’s Obama is a little wary of calling other kettles black when his own nation’s pot is somewhat less than squeaky-clean. Turkey’s Prime Minister, Ahmet Davutoğlu, responding to the European Parliament’s vote last week to come out of the closet and shout ‘genocide’ from the rooftops, was moved to ask rhetorically, ‘Where now are the native Americans? The aborigines of Australia?’ He didn’t add, ‘Why are there so many people of Irish extraction living in the United States?’ but he might have. As far as I am aware, he wasn’t ‘furious’ and he didn’t ‘attack’ anyone – but he might have been a little sad at such unjust treatment at the hands of his supposed NATO allies, and possibly felt some righteous indignation. Why are Armenians tolerated when they employ terrorist tactics to assassinate Turkish diplomats and silence voices of opposition as they did in the 1980s – yet Turkish politicians and American historians are accused of bias and ‘denialism’ when they use reasoned arguments and historical documents to dispute Armenian assertions? Another debate has arisen recently over a clash of dates for commemorating two centennials this year. Armenians arbitrarily selected 24 April as their date of choice for commemorating their ‘great Evil’. Nations of the former British Empire, especially Australia and New Zealand, have long gathered on 25 April to remember their young men who died in the tragic and ultimately futile Gallipoli Campaign. 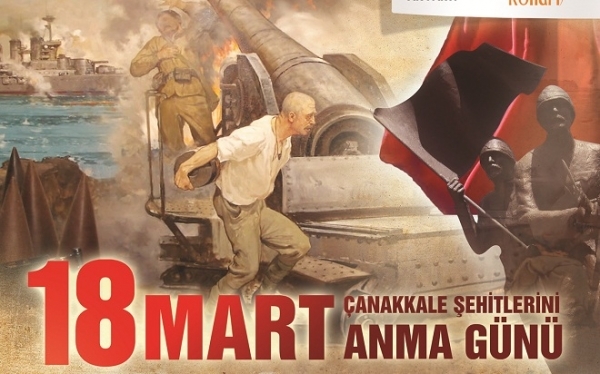 Turkey’s commemorative activities take place on 18 March, the day when their Ottoman ancestors turned back the might of the British and French navies – effectively saving their capital Istanbul from invasion and occupation. More importantly for the modern Republic of Turkey, however, is the significance of the Gallipoli/Çanakkale victory in the rise of its founder, Mustafa Kemal Atatürk. Apparently the President of Armenia, Serzh Sergsyan, kindly invited Turkey’s President, Tayyip Erdoğan, to attend a memorial event in Yerevan on April 24. Thousands of Australians and New Zealanders have been planning for a year or more to be present on the Gallipoli Peninsula for their big day on the 25th. The Turkish government decided, for reasons of its own, to hold its official international ceremony on the 24th, and thoughtfully issued an invitation to Mr Sergsyan. Well, few Anzacs would have turned up in Turkey on 18 March – and few Turks have any interest in joining the Armenian activities, so call it what you will. Interestingly, retired diplomats of Turkey’s Ministry of Foreign Affairs are planning an activity of their own for 25 April. 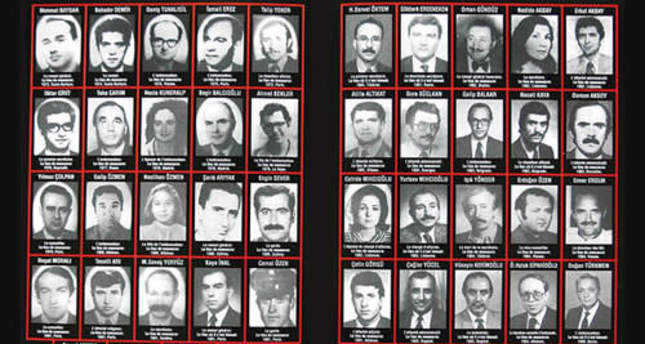 They intend to hold a march in Ankara ‘to honor Turkish diplomats assassinated by Armenian radicals.’ According to a spokesman for the organising committee, ‘We still carry in our hearts the agony of the ruthless assassination of over 40 Turkish diplomats, government employees and their family members by Armenian terrorist organizations between 1973 and 1985.’ An article in the New York Times dated 29 January 1982 reported one of these assassinations: ‘Two gunmen assassinated the Turkish consul general in Los Angeles this morning as he sat alone in his automobile at a busy intersection in the Westwood section. An organization called the Justice Commandos of the Armenian Genocide said it was responsible for the slaying of the consul general, Kemal Arıkan. The organization is one of several Armenian terrorist groups that have said they want to avenge a massacre of Armenians by Turkey in 1915. Agents of the Federal Bureau of Investigation found the getaway car at a house in Pasadena, 20 miles away, and detained four people inside the house for questioning. All four were later released [My emphasis]. According to the State Department, Mr. Arıkan was the twenty-first Turkish diplomat to be killed in the past 10 years in this country and abroad. Armenian groups also claimed responsibility for the previous killings. The assassination followed a number of other attacks on Turkish officials in southern California that police investigators have attributed to members of the city’s large Armenian community, which is estimated at 100,000.‘ For full details of the Armenian terrorist attacks, click this Youtube link. It may give you food for thought. I came across two other pieces of interest, adding fuel to the fire of anti-Turkish sentiment currently raging in Western ‘news’ media. One was in the UK Independent entitled ‘The Gallipoli Centenary is a shameful attempt to hide the Armenian Holocaust.’ The author is Robert Fisk, who has had a lot to say previously on this issue. I have been referred to him in the past as though he is some kind of authority, when in reality he is just a journalist with a neo-Lawrence of Arabia complex. I have no intention of wasting energy refuting his lengthy tirade. It may be enough to comment on the title itself, which sets the tone for the rest of the piece. Does Turkey have any interest in commemorating 25 April? As stated above, 18 March is their date of choice. They might also have opted for 9 January 1916 when the last British troops departed after their failed invasion. 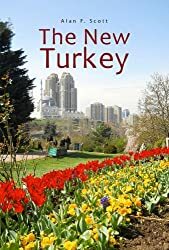 Out of respect for their former enemies, the people of Turkey maintain the cemeteries of all the fallen, welcome visitors with true Turkish hospitality and accept that the British and their allies prefer to forget those two embarrassing dates. It is the descendants of the Anzacs who want to gather on 25 April. The other piece appeared on an American neo-con website Newsmax, and contained an interview with a German, Michael Hesemann. The article calls him a historian, but like Fisk, it seems he is just another journalist with an axe to grind. In fact, comparing him to Fisk is probably a tad unfair to the latter as Hesemann apparently wrote several books on UFOs and extraterrestrial visitors to earth before becoming a major apologist for Roman Catholicism. Well, on second thoughts, perhaps the two fields are not so far apart. Mr Hesemann, it seems, argues in a recent book that the Vatican had tried to stop Ottoman expulsions of Armenians back in 1915. Well, maybe they did, but it seems to have blunted their enthusiasm for such protests, given that they maintained a deafening silence over the more recent German extermination of Europe’s Jews. Yeah, well . . .
How many Muslims died during those years? How reliable are sources quoted in support of the Armenian story? 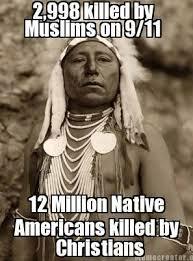 Do the deaths constitute genocide? Why were Ottoman officials tried by the British for war crimes acquitted by the Malta Tribunals. Should we be influenced by Armenian terrorists who have engaged in a vigilante war that continues today? The archives of many nations ought to be carefully and thoughtfully examined before concluding whether genocide occurred. The Jewish Holocaust bears no meaningful relation to the Ottoman Armenian experience. Just the other day, a historian in New Zealand, speaking about the 19th century wars fought between European settlers and the indigenous Maori people, said ‘Let’s not be selective about the history that we remember.’ It’s good advice. This entry was posted in Armenian genocide, Circassian genocide and tagged Armenian genocide, freedom of speech, International affairs. Bookmark the permalink. A robust ad hominem defence! Readers should be aware that disagreeing with the Turkish government’s position on this topic is treated as a crime in Turkey. Selective amnesia indeed. Maybe retaliation for other countries making the defense of Turkey’s position a crime. Not sure that it is specifically a crime in Turkey though. Maybe depending on the wording it can come within the scope of more general laws. I thought my argument went a little beyond mere ‘ad hominem’ -ism.